In the Yungdrung Bön tradition, the place where the deities and objects of veneration are gathered is called the “Tsok Zhing”, the “Field of Accumulation”. It is also sometimes translated as the “Field of Merit” or the “Merit Field” because what is being accumulated by paying homage and making offerings to this place is merit, or virtue. 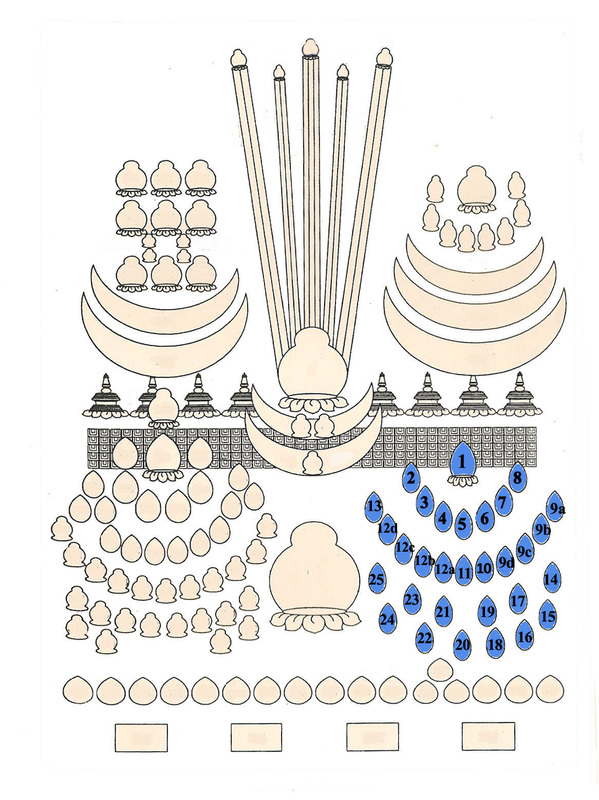 This is the Merit Field according to the Menri Tradition from a drawing done by the great master and scholar HE Yongdzin Tenzin Namdak Rinpoche. 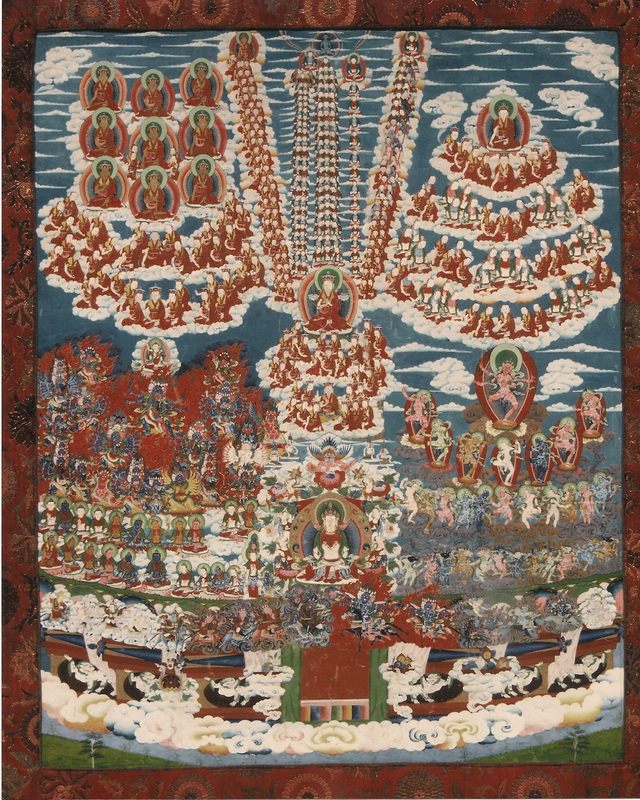 The Ocean of Khandro are depicted as figures #1-25. Khandro (Sanskrit: dakini) literally translates as ‘sky-goer’ or ‘one who moves in the sky’. Khandro are a class of female beings who protect and serve the religious tradition as well as bestow spiritual attainments. Khandro can be classified in many ways. The classification below is according to the Tsok Zhing text. 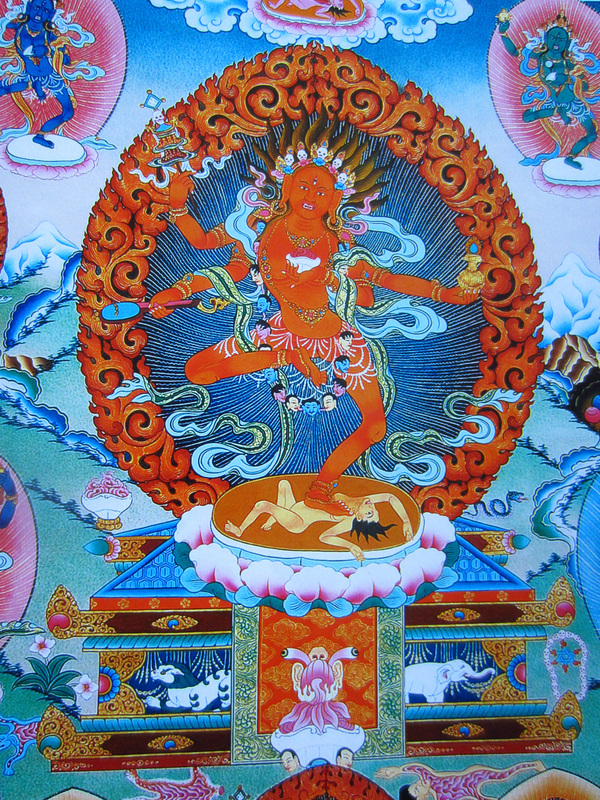 Each of the khandro are adorned with the six bone ornaments. Posted on November 13, 2016, in Iconography, Prayer and Ritual, Tibetan Lamas, Uncategorized, Zhang Zhung Nyen Gyu. Bookmark the permalink. Leave a comment.